When people think of Liechtenstein, most people picture a kind of Ruritanian, fairy-tale state, small in scope and vast in wealth. Its snowy mountain scenery and picturesque medieval style castles make it akin to a set straight out of a Disney movie. This vision is not far from reality – this is the perfect destination for high-net-worth investors seeking a quiet, safe and luxurious place to comfortably settle down. In geographical terms, Liechtenstein is situated between Switzerland and Austria in the centre of the Alpine arc. It is the fourth smallest country in Europe. Its western neighbour Switzerland is around 260 times larger. In the west and south, the national frontier runs alongside the Swiss cantons of St. Gallen and Graubünden. In the north and east, Liechtenstein shares a long frontier with the Austrian federal state of Vorarlberg. Despite its mountainous location, Liechtenstein’s climate is mild. It is strongly influenced by the effect of the Föhn (a warm, dry downslope wind in the Alps), which lengthens the growing period for vegetation in spring and autumn. Annual precipitation ranges from 900-1,200 millimetres. In the winter temperatures sometimes drop below minus 10°C, summer daytime temperatures generally fluctuate between 20 and 28°C. The principality is a constitutional, hereditary monarchy on a democratic and parliamentary basis; the power of the state is embodied in the reigning prince and the people. Head of State HSH Prince Hans-Adam II, Prince of Liechtenstein succeeded Prince Franz Josef II in November 1989. On 15 August 2004, Hereditary Prince Alois became Regent. The government consists of a five-member team, nominated by parliament and appointed by the Prince for four years. The population is spread over eleven municipalities. Schaan forms Liechtenstein’s largest municipality with around 6,000 inhabitants. Around 5,400 people live in the capital, Vaduz. A third of the population are foreign nationals, mainly from Switzerland, Austria and Germany. The fourth smallest state in Europe, it resulted from a union between the County of Vaduz (1712) and the lands of Schellenberg by the Princes of Liechtenstein. Although small, it is also one of the wealthiest states in terms of GDP per capita. Lichtenstein actually has more companies registered under its province than it does citizens. A large portion of the rationale behind setting up a business in Lichtenstein is due to its very low business taxes. With a corporate tax rate of 12.5%, the only other country in Europe who can boast lower rates is Andorra with a 10% maximum tax rate. Its Rules of Incorporation which are required to start a business are also easier to meet than most other countries. These factors partly result in Liechtenstein being a fantastic location in which to start and maintain a business. Liechtenstein’s reputation as a haven for wealthy investors was not always secure. In fact, following the end of the war in Europe, it was forced to sell many of its national treasures in order to survive financially, including a portrait drawn by Leonardo Da Vinci which was purchased by an organisation in America for US$5m, then a record amount for such a painting. In order to escape these poor financial straits, the country lowered its corporation tax rates in the 1970s. This led to a large number of companies incorporating there, and as a result, the country became one of the wealthiest in the world, enjoying one of the highest standards of living. Outside investment in Lichtenstein’s growing economy saw it develop into a successful, highly industrialised free-enterprise economy. In terms of industry involvement, a large sector that brings in revenue is ceramics. In fact, Liechtenstein has the strange title of being the world’s most prominent provider of false teeth! Other industries include electronics, textiles, precision instruments, metal manufacturing, power tools, anchor bolts, calculators, pharmaceuticals, and food products. It’s most recognisable international company and largest employer is Hilti, a manufacturer of direct fastening systems and other high-end power tools. Liechtenstein produces wheat, barley, corn, potatoes, dairy products, livestock, and wine. Tourism accounts for a large portion of the country’s economy. Liechtenstein participates in a customs union with Switzerland and employs the Swiss franc as the national currency. It has been a member of the European Economic Area (an organisation serving as a bridge between the European Free Trade Association (EFTA) and the European Union) since 1995. It is also a member of the European Economic Area (EEA) since May 1995 and participates in the Schengen Agreement for passport-free intra-European travel. The government is working to harmonise its economic policies with those of the EU. Since 1923, there has been no border control between Liechtenstein and Switzerland. The Principality is known as an important financial centre, primarily because it specialises in financial services for foreign entities. The country’s low tax rate, loose incorporation and corporate governance rules, and traditions of strict bank secrecy have contributed significantly to the ability of financial intermediaries in Liechtenstein to attract funds from outside the country’s borders. 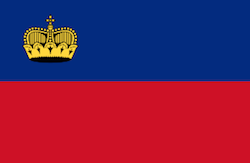 Liechtenstein has chartered 17 banks, three non-bank financial companies, and 71 public investment companies, as well as insurance and reinsurance companies. The Principality’s laws permit the corporations it charters to issue bearer shares. Culturally, as Liechtenstein is small, it has adopted much of the cultural traits of the neighbours who surround it, such as Austria, Baden-Wurttemberg, Bavaria, Switzerland, and specifically Tirol and Vorarlberg. The “Historical Society of the Principality of Liechtenstein” plays a role in preserving the culture and history of the country. In order to redeem the prior situation in which the country was forced to sell much of its fine arts in order to prosper, it now is home to the Private Art Collection of the Prince of Liechtenstein, which can be found at the Liechtenstein Museum in Vienna, and holds claim to being the world’s leading private art collections. A country of peace, Liechtenstein has no military as it is one of the only countries in the world which operates under the principle of neutrality. In fact, the last surviving soldier of the army of Liechtenstein died in 1939 at age 95; the demise of the German confederation meant that the country could disband the small 80 man army it once had and its Parliament took the opportunity to refuse to provide funding for a new replacement army. The Liechtenstein National Police force totals 125 employees and even then these people have little to do as the country boasts one of the lowest crime rates globally. Liechtenstein is the perfect location or investors seeking a calm, peaceful, prosperous country to do business with. The comparatively flexible rules of incorporation and low corporate tax rates make it a haven for business owners and start-ups and its picturesque snow-coated landscape is not too hard on the eyes either. With a high standard of living quality and low crime rates, Liechtenstein is a safe and secure investment for any HNWI looking to live a stable life with all of the luxuries that come with it. If you live in Liechtenstein over six months in the tax year you are considered to be a resident and you are subject to unlimited tax liability on your worldwide wealth and income. Less than six months, and you are only subject to limited tax liability on your wealth and income from Liechtenstein sources, including income from employment pursued in Liechtenstein. I genuinely enjoy reading on this website , it holds wonderful blog posts. “Beauty in things exist in the mind which contemplates them.” by David Hume.